On Wednesday May 24th, WagonWheel Presents… welcomes Whitney Rose and her band to The Greystones. Whitney Rose is a Canadian singer and songwriter who describes her sound as “vintage-pop-infused neo-traditional country.” She grew up on Prince Edward Island and was exposed to country music from a very young age: as a child she spent most of her time at her grandparents’ bar, where the jukebox constantly played hits by Hank Williams, Kitty Wells, Patsy Cline, and Dolly Parton. Having now relocated to Austin, Texas, Whitney is touring Europe in support of her brand new record South Texas Suite. Support comes from A Prayer Away. Advance tickets priced at £10 are available from http://www.wegottickets.com/event/384848 and the venue (12-6pm). Entry on the night will be £12. Doors open 7.45pm. The past two years have been massive for Whitney Rose, who is rapidly becoming an international sensation. The vintage country pop specialist’s sophomore offering, Heartbreaker of the Year, converted critics’ double takes into palpable buzz with its beguiling blend of then and now. Her 2015 release Heartbreaker of the Year was produced by The Mavericks’ Raul Malo, who also performs on multiple tracks. Rose’s vocals convey both vulnerability and sharpness – a contrast that permeates her music as a whole – to enthralling results. The album’s success has impelled those in the know to include Rose’s name in any conversation about the future faces of Americana and Country music. Before moving to Austin, Whitney Rose had never danced the two-step. Now, the country-pop singer’s infatuation with Texas’ rich musical culture, from stage to studio to dance floor, informs an enthralling new project, a love letter to the Lone Star State. Her new EP, South Texas Suite, is a touch nostalgic, deeply romantic and defiantly personal — it’s Texas, through Whitney Rose’s eyes and ears. South Texas Suite is a meticulous study of sound and place, but also a product of unexpected circumstance. 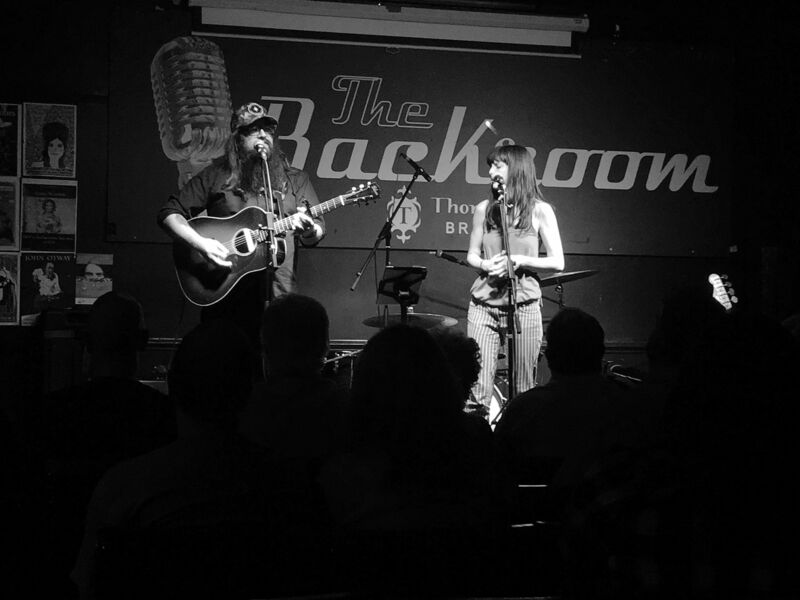 Last October, shortly after the release of her album Heartbreaker of the Year, Rose packed up her boot collection and headed south to play a two-month residency at Austin’s famed Americana bastion, the Continental Club. But that November-December engagement went so well, she wound up staying. Since then, she’s toured extensively throughout North America, made her European debut and signed with Thirty Tigers-distributed Six Shooter Records. South Texas Suite was released on January 27th 2017 and is being supported by a month long North American tour, and following that, over two months of performances in Europe, Scandinavia and the UK.